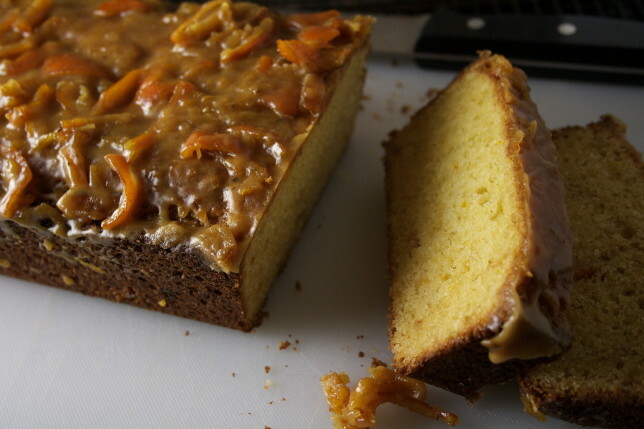 But just in the nick of time — or just after the nick of time, depending on whether you abide by the “rules” — a friend of mine posted a recipe for orange marmalade cake on her Facebook page. 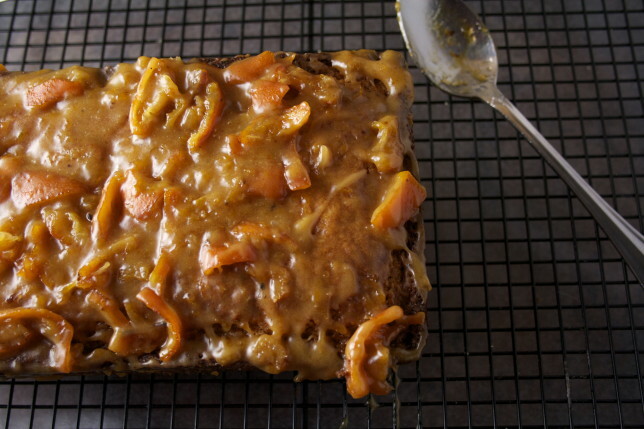 The recipe’s author, Melissa Clark of the New York Times, recommends good marmalade — caramelized and chock-full of bitter seville orange peel. Caramelized? Accidentally or not — yes! Chock full of peel? Oh hey now! I checked for mold, threw the “rules” out the window, and got to work. 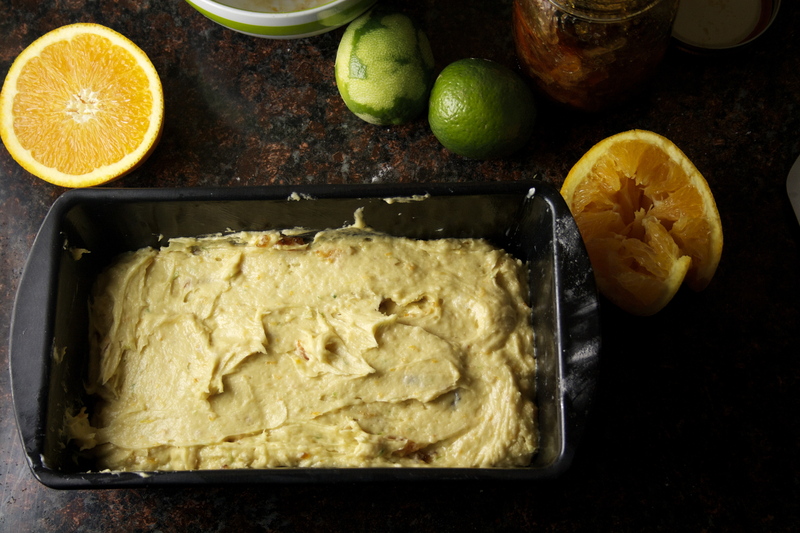 What drew me to this recipe was not just the fresh flavor of the citrus, enhanced by orange and lime zest and orange juice, but the fact that it was simple. The wet ingredients are all mixed with an electric hand mixer, the flour mixture is folded in, and it goes in the oven. Boom. I love multi-batch recipes like cookies so much that cake and brownie recipes are always such a revelation. This beauty is rather dense, but such are tea cakes. It’s moist and has the loveliest, most delicate aroma. It’s bold yet delicate. I altered the proportions of orange and lime zests, favoring the orange, but the hint of lime adds a layer of complexity that a solely orange base couldn’t provide. Melissa calls it “floral” and she’s spot on. The cake itself isn’t too sweet, so the glaze, made with more marmalade, some confectioner’s sugar, a bit of butter and a pinch of salt, is a welcome highlight. It’s wonderful with tea, as the name suggests, but it’s also great with a morning cup of coffee. And now — hurray — I have less than half a jar of marmalade to power through. I’m still working on that New Year’s resolution. I think I can do it. Let’s see another show of hands. 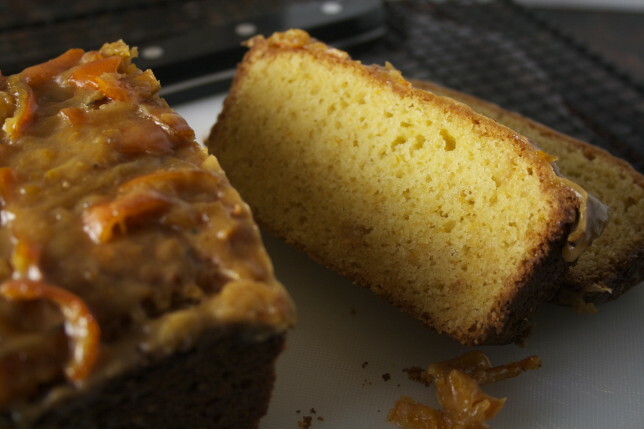 Who else wants some delicious orange tea cake? 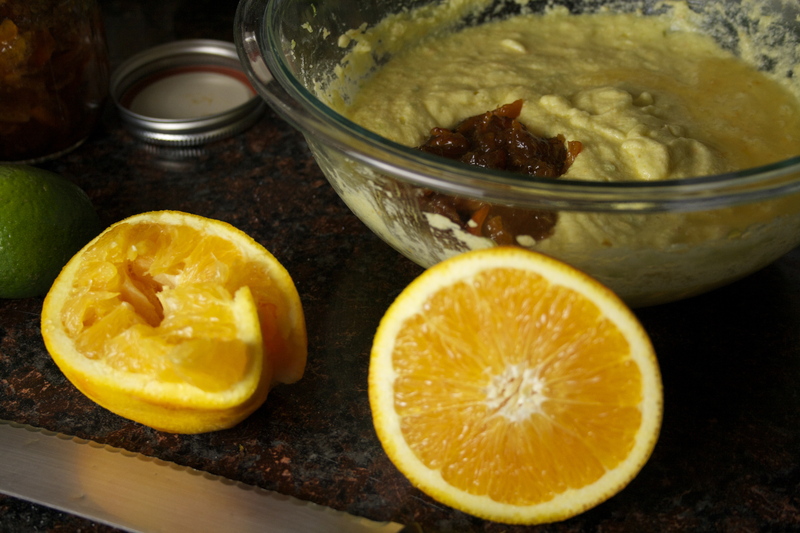 If you don’t have clementine marmalade on hand, definitely do try to get your hands on a nice, dark British orange marmalade. Or if you feel like making some from scratch you can find the recipe here. Heat oven to 350 degrees. Grease a 9 x 5 inch loaf pan. 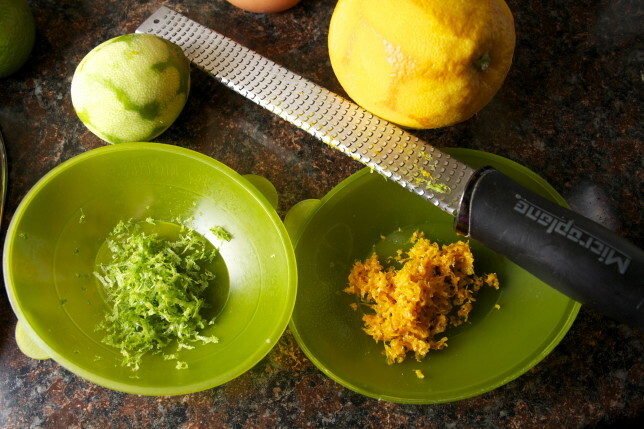 Using an electric hand mixer, beat softened butter, sugar, lime zest, and orange zest until it is light and fluffy, about five minutes. 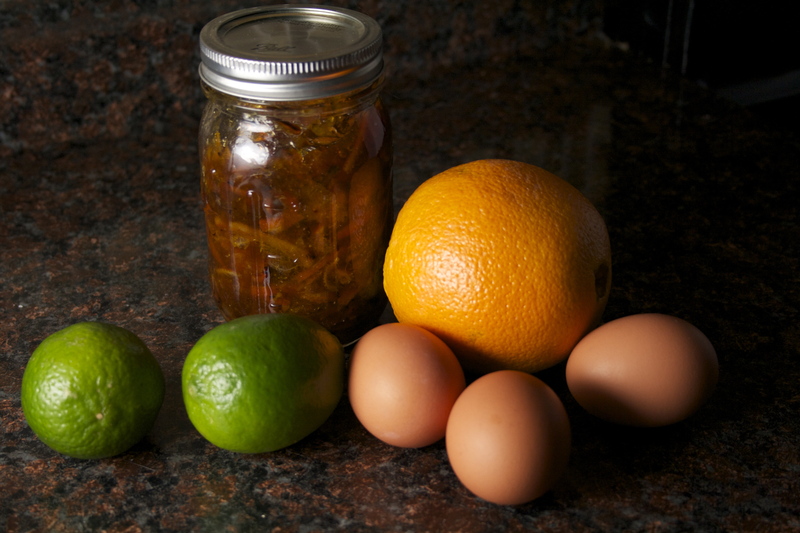 Beat in eggs, one at a time, until incorporated, making sure the mixture is smooth. Beat in marmalade and orange juice. Fold flour mixture into the wet ingredients until just combined. Scrape the batter into the prepared pan, smoothing out the top. Bake until the surface is golden brown and a toothpick inserted into the center comes out clean, about 50-55 minutes. Transfer pan to a wire rack and cool for 10 minutes. Turn cake out of pan and place it right-side up on the rack. Place a rimmed baking sheet lined with parchment, wax paper, or foil under the rack to catch the glaze. Heat ⅓ cup marmalade in a small saucepan over low heat until loose. Whisk in confectioner’s sugar and butter until smooth. Slather over the top of the cake. Let the cake cool completely and the glaze harden before slicing. Store well-wrapped at room temperature.